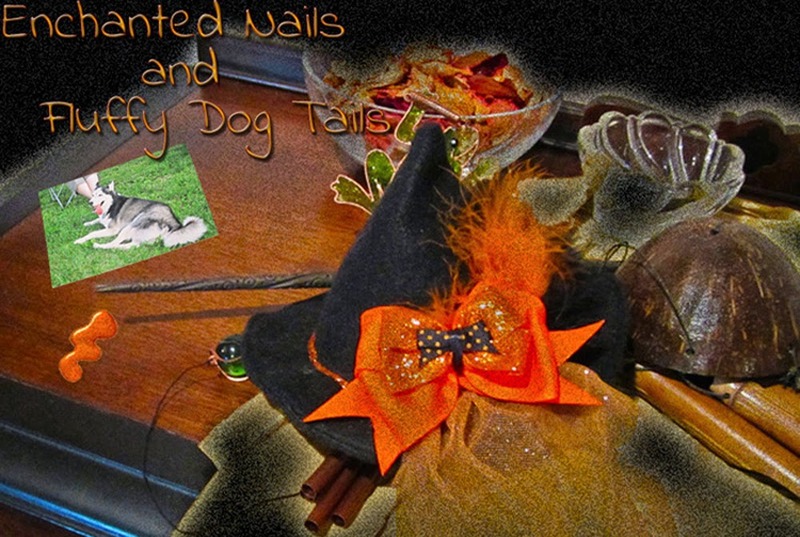 Enchanted Nails and Fluffy Dog Tails: Go Pink Wednesday #5 - Jem pink! 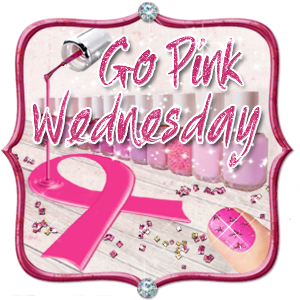 Welcome to Go Pink Wednesday #5. Go Pink Wednesday is when a bunch of bloggers and nail polish fiends wear pink manis to support breast cancer awareness, because October is Breast Cancer Awareness month. You don’t have to be a blogger to join in, though today is our last one so hurry up and join us! You can find more details over at Finger Painting Fingers, who organized this amazing event. With Hurricane Sandy and the Frankenstorm she created, I pray that all of our fans and fellow nail polish addicts came through the storm as well as we did. It was a horrific storm and I have a feeling it’s going to take us a long time to dig out. My prayers go out to everyone affected. To bring a little cheer and color to an otherwise gloomy time, here is my final Go Pink mani. One of my two Halloween costumes was Jem, from the “truly outrageous” 80s cartoon Jem & the Holograms. I loved Jem as a kid, and still do to this day. I’ve actually been Jem a few times over the years but this year was my favorite. My mom actually made me the pink dress a couple years ago but I hadn’t had a chance to wear it, and then this year we went to the Spirit Halloween store and they actually had an official Jem wig! So I got it, and the inflatable Jem guitar (though Jem didn’t play guitar), and added lots of jewelry, a shimmery red belt, my ruby red slippers, and did my makeup right. But for my nails, I needed something pink and sparkly and glittery! Jem is all about the “glamour and glitter, fashion and fame”. So I knew I wanted to use my Jem polish from Truly Outrageous collection by NostalgicNail Lacquer. It’s a clear base with different pink glitters, and matte white hex glitter and white bar glitter. I tried it over several different colors before I settled on Excuse Moi by OPI, another super sparkly pink glittery polish (from the Muppets collection). The result? “Truly Outrageous” glamour and glitter pink gorgeousness! You can find Nostalgic Nail Lacquer at her store on bigcartel.com, and for updates, her Facebook. 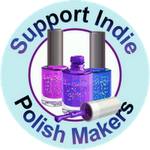 She also has polishes for Rio and Pizzazz! OPI can be found at many drugstores, salons and Ulta. I want to give a HUGE thank you to Andrea over at Finger Painting Fingers for coordinating this amazing event and allowing me to be a part of it. 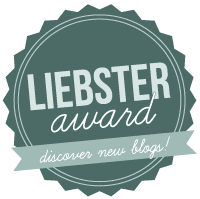 I'm honored to have joined all these awesome bloggers to help bring awareness to a very serious and real disease. Remember that even though October is ending, the need for early detection of breast cancer isn't. Regardless of what month it is, keep up with monthly self exams, and don't hesitate to see your doctor if you suspect something! Early detection is key to defeating this disease!